Can the Internet be the “Cloud Network” ? If so, when could the transition happen (if it hasn’t started already) ? Therefore “Internet as Cloud WAN” represents a growth sector for WAN architecture and implementation. Vendors and products in this space (and there are quite a number) are positioned to grow in this market. The Internet is a resource that can be easily virtualized using VPN technologies such IPsec and SSL. The Internet is built at scale and has benefits/features of commoditisation and industrialisation – namely price, easy availability and common feature set. We already build an overlay networks that uses low cost Internet for business purposes. Internet access is widely available including mobile, fixed, etc. Overlay networks are widely deployed today. MPLS networks creates an overlay that is abstracted from the underlying network that works at scale. 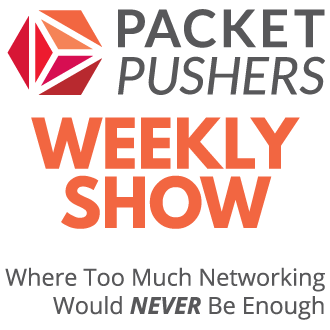 Amazon, Google, Rackspace and others have all proven overlay networks are scalable, high performance and easily operated and managed (with new technology and processes). Outcome Overlay networking is already successfully working for big companies. Scaling down for small companies is relatively trivial. The Internet is the new WAN the Internet will progressively replace dedicated WAN connections for a large percentage of the connectivity. Dedicated/Private WAN isn’t dead but instead of being the only solution to the use case of “connect my IT resources together” the Private WAN will become a smaller and niche solution. Smaller means less relevant, small scale means rising expense which further drives customers away. Private WAN dieback is probably slow to start, then rapid abandonment before tailing off to a steady state. Like most technologies, there are use cases where Private WAN will continue to be used but they are likely to be niche markets and of limited significance. Importantly, they will be active disincentives through higher costs (dedicated resource cost > shared resource cost) , complex operation/ownership and high capex (routers). Data Centre Interconnect niche use case. Will still use dedicated network for performance, latency and control. Quality and Latency in Internet Networks is a phantom issue for most use cases. While IP Telephony claims it needs high quality, the simple reality is few users actually care. If they did, mobile phones would not have been adopted for voice calls. Software like Skype shows that the IP telephony is a niche use case in the overall IT market and will steadily decrease. Call Centres and Session Border Gateways probably best served with dedicated bandwidth but increasingly companies will use Internet to cut costs and access service integrations offered by cloud companies in the near future e.g. voice mail hosted over Internet and integrated with voice mail offering. One of the greatest challenges with WAN is the lack of flexibility. 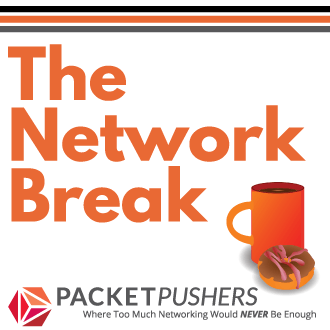 Network users are no longer in offices – there requirements to have a second network with VPN using Internet for BYOD /Remote Access has already undermined the pre-eminence of the WAN. The static nature of the WAN with long-term and binding contracts is not a product that customers want. 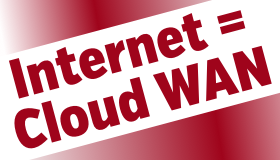 Internet can be treated Cloud-like resource. With the use of VPN overlays it is likely to replace WAN services for many companies. The use of VPN Overlays enables “software defined WAN” – a controller function that can manage them allows for more flexible bandwidth consumption. Consider that it’s possible to have many VPN tunnels, using many paths & providers, to address the requirements. The technology exists to make this happen. The Cloud business pattern is extant for other areas of IT infrastructure. I can’t see many reasons that would prevent this trend. Any thoughts ? I’ll be patrolling the comments. Not sure that I would go as far as to say, “An SSL connection from a desktop or smartphone to a server is equally an overlay as VXLAN or GRE”. If we go that far, there’s a lot that we could classify as an overlay. This is a grey area but the current drafts of the HTTP/2 protocol which look likely to mandate end-to-end encryption from client to web server and tunnel all HTTP requests down a single TCP connection. This looks much more like an overlay than a protocol to me. So not only is the the Internet already a classic cloud network, but also an overlay of the existing telecoms infrastructure. I guess it all depends upon where SDN takes us, either disparate islands or another overlay of the existing Internet in the form of something like Internet2? If all your sites are connected using the same ISP, then you never really go out on to the Internet, you get switched across the ISP’s backbone, so the latency and bandwidth issues are no way as bad as you would think. I have used the Internet as a WAN for various customers (All the end points with the same ISP) without any real issues. Even using different ISP’s using the Internet as a WAN works well, however the latency does bounce around a bit more than if all the end points are with the same ISP.